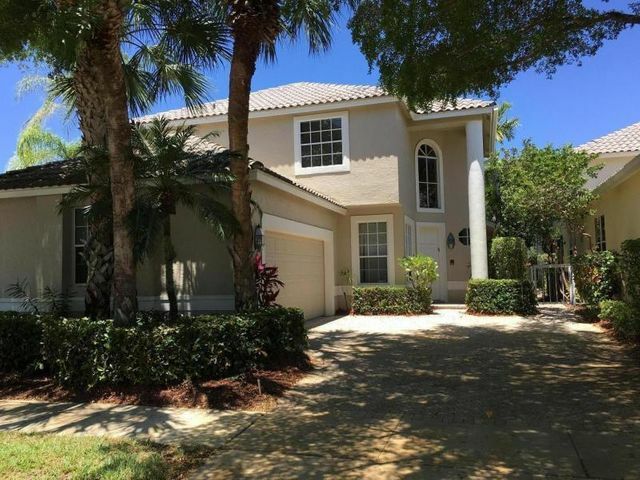 16954 Knightsbridge Lane is a three (3) bedroom, two (2) and a half bathroom home, located in the Polo Club in Delray Beach. This two story home features volume ceilings and windows that allow for plenty of light. An abundance of counter space, as well as a breakfast nook can be found in the kitchen. The master bedroom features a tray ceiling, closet built-ins, and a large master bath with a roman tub. Outside, the private pool and spa are surrounded by lush landscaping, giving plenty of privacy. With a recent price change, this Knightsbridge home won't last long, so book your viewing appointment with our Distinct Estates agent today!